China is full of beautiful and unique festivals. Some are ancient and are closely tied to traditions, family, and religion, while others are modern and exciting. Many festivals are for the local people, but luckily visitors to China can also experience many of these festivals too. And festivals really are a great way to connect with the local culture, especially in China. It is true that travelers should avoid traveling in China during major national festivals (like Chinese New Year), but many of the smaller festivals and regional events can be quite a vibrant time to visit. Though dates may vary from year to year because they are aligned with the Chinese calendar, here are some of the most fascinating festivals in China that tourists will enjoy! Started in 1985, Harbin Ice and Snow Festival is known as the first Chinese international festival featuring snow and ice activities as its basic content. 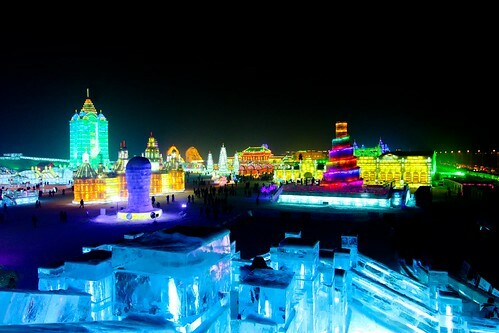 It is also ranked in the top 4 for ice and snow festivals around the world. Occurring at Heilongjiang Province in Harbin, this wonderful Chinese festival is annually stated on January 5 to February 5. Known for it’s grand light displays and massive scale, be sure to bring your warm clothes because it is absolutely freezing here during the winter — making for some great ice sculptures! The Harbin Ice and Snow Festival has actually become one of the most famous festivals in China for international visitors! When Spring Festival Flower Fair approaches, every street in our former home of Guangzhou is bustling with shoppers as well as florists. Make-shift flower stands are everywhere, making it a colorful and sweet-scented experience for the senses. Spring Festival Flower Fair usually starts near the end of month of the 12th lunar month occurs in Guangzhou, in the Guangdong province in southeast China. When it comes to festivals in China, this is the most popular. 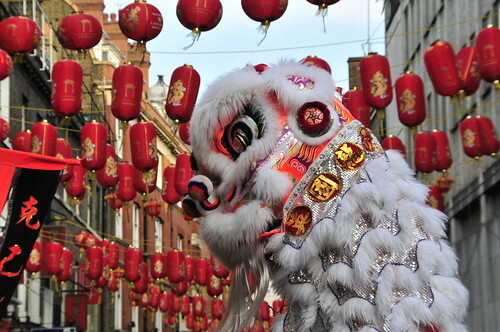 The Chinese New Year (translated as the “Spring Festival”) is celebrated during the lunar month that begins on the second new moon, after the winter solstice. This means that the actual date of the event changes each year. It will normally be at the start of February. While this is an amazing festival to see first hand, it can also be one of the biggest nightmares for tourists due to the massive migration of Chinese people. In fact, many of the big cities feel deserted during the Spring festival, and forget traveling by train or bus during this time. It is best to stay in one place and enjoy the festivities. Since so many people return to their hometowns for the festivals, there is more happening in the small villages than in most of the big cities. However, we’ve found that Hong Kong and Macau have some of the best entertainment and festivities for tourists to enjoy over the Spring Festival. This annual Chinese festival slated for early February to early March takes place in Sichuan Province in Zigong City. 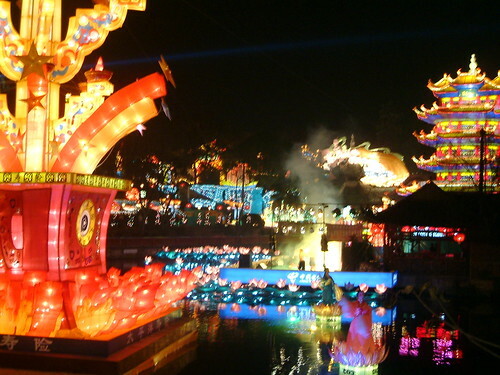 This grand display includes both large and small lanterns, creative lanterns (like dragons) and lots of colors. Some of the lanterns are quite elaborate, using glass porcelain tableware, bamboo strips and even silk accents. Some of the lanterns even use sound and movement as well as the colors and lights to bring them to life! This wonderful festival takes place around the first 10 days of April (around the third day of the third lunar month). Happening at Haikou City, Wenchang County, Tongshi City and Sanya City in Hainan Province, this festival offers a display of ancient Coins, telephone cards, stamps, china and butterfly specimens. Plus, there are lots of coconuts to be had since the coconut is the symbol of this tropical island (yes, there is a tropical island in China!). Every April 15 to 25 in Henan province in Luoyang City, China they have this ancient festival offering amazing displays peonies – in so many varieties! So if peonies are your favorite flower, you definitely don’t want to miss this colorful and creative flower festival. China has a long history of kite-making and is known for its kite craftsmanship, especially in this region. In fact, Weifang is known as the “World Kite Capital.” On April 20 to 25 in Shandong Province in Weifang City China, locals and visitors alike gather to celebrate the annual Weifang International Kite Festival. With different displays of kites, including traditional and creative ones, you can sit back and watch people fly them or you may choose to fly your own in the spring breeze. There is even an international competition with kite enthusiasts from all over the world showing off their skills. This wonderful festival in China takes place every last week of March at Meizhou Island, Fujian province. It offers a display of inscriptions written on a 100-meter-long scroll, as well as four treasures of the study. If you enjoy the art of traditional Chinese calligraphy, then you will appreciate the artistry displayed at this festival. This festival occurs 23rd of the third lunar month and 9th of the ninth lunar month at Meizhou Island, Putian in Fujian Province features. Local Chinese people and visitors come together for rituals to worship the Sea God. They believe she could help cure disease and even forecast the weather for fisherman and help them avoid dangerous Typhoons. The festival includes traditional foods, songs and dances too. Traditional festivals in China like this are always an interesting experience for curious travelers in China. Ah, the famous dragon boat festival in China! Of all the festivals in China, this one just might be the most exciting of them all. The Dragon Boat Festival can be seen in many parts of China with suitable bodies of water for racing, but it’s particularly special in Yueyang where teams from all over the world (including the US and Australia) come to compete against each other. 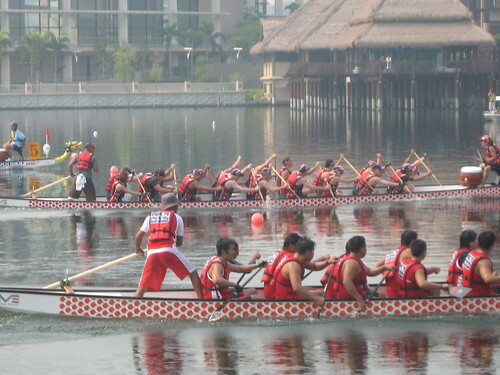 The Yueyang International Dragon Boat happens every June 10 to 14 in Hunan Province, South Lake in Yueyang. The beating of the drums and excitement of the race is thrilling for all ages, and a fun event to remember from your travels in China. Held in July every year, this Chinese festival celebrates the art and science of flying or gliding. From fighter planes, to hot air balloons, gliders, trick parachuters, base jumping, and aerobatics. Basically, there’s a lot of stuff going on in the sky during this event! But the highlight is the gliding competition. Due to the flat terrain, there are a lot of “gliding” records to be broken during the competition and athletes from around the word join the competition. 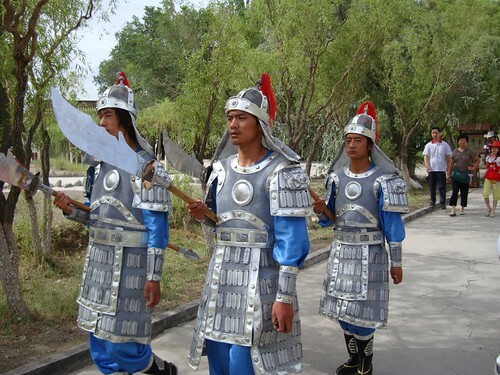 This festival is celebrated at Gansu Province in Glider Base of Jiayuguan Pass. Oh, how we love a good beer festival! And this is one of the festivals in China that many of our students and friends in China often talk about. 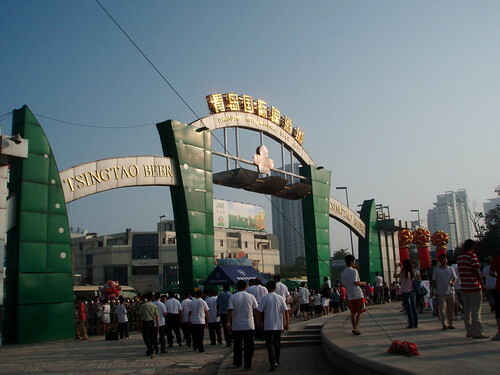 Beginning from the second weekend of August each year, the Qingdao beer festival lasts for 16 days and visitors can sample more than 30 types of beer from all over the world. It is more than the talk of the town, but really the talk of the country as numerous Chinese residents as well as tourists come together in Shandong Province and the town of Qingdao to celebrate drinking tasty beer and enjoying the seaside atmosphere. Held in August every year in the Xinjiang Uygur Autonomous Region, The Xinjiang grape festival features many local activities and artistic performances. From elaborate fireworks displays, acrobatics, traditional dances and singing, as well as painting and calligraphy displays. Visitors can also try their hand at grape picking, for visit Flame Mountain by camel. It’s definitely a cool event to see if you are planning to travel in the area. This international festival is annually slated for early September in Liaoning Province in Dalian in northeastern China. It features various parades of fashion shows and other fashion-related activities. Many celebrities and superstars attend this event, similar to New York Fashion Week, and there are known to be some amazing parties in the evening. Not only do famous designers show off their work, but on the second day locals can show off their own self-made creations on the runway! Occurring every September in Shaanxi Province in Xian, China, this festival features folk performances, musical as well as artistic showpieces from the Xian people. A very historic city that is popular for tourists for more than just the terracotta warriors, festival goers beat drums and use other traditional musical instruments to celebrate the ancient Chinese and Xian culture. 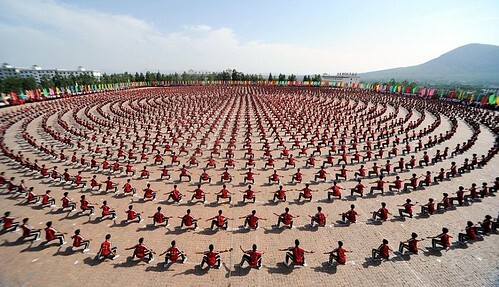 The Shaolin Monastery is famous for it’s martial arts and is the home of Kungfu, so what better way to see this art-form in all it’s glory than by attending this festival. Taking place in Henan Province at Shaolin Temple, Zhengzhou every September, this event is full of amazing Kungfu competitions and spectacles that are sure to leave visitors in awe. Every September 26 to October 10 at Shandong Province in Qufu city, China, this ancient festival is devoted to worshiping Confucius, a great thinker and educator who is highly regarded in China. The opening ceremony is marked by traditional dances, and visitors can see calligraphy displays, tour mansions, temples, and even visit the cemetery where he is buried. Slated for September 20 to 25 at Jiangsu Province, in Suzhou, this town is famous for its silk products and was once known as the “silk capital.” The festival includes silk on display, as well as a fashion show, and an orchestra performance. Every September 21 to 27 in Shanghai, China this festival shows off the local folk customs of Shanghai with decorated floats, concerts in the plaza, tours along the river, and local foods and shopping. A great way to enjoy the beautiful & international city of Shanghai! Held in October since 1991, this festival has become hugely popular among locals and tourists alike. 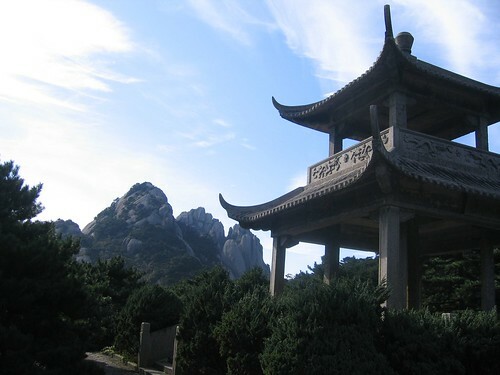 Rich and colorful activities include folk performances, a lantern fair, paint and calligraphy displays, and there is also a local Huangshan show. Throughout October in Jiingdezhen there is the International Pottery and Porcelain Festival. With master porcelain makers on-site, visitors can admire these works of art and even attempt to create their own. Getting lost on the motorbike in the countryside near Yangshuo, China! Guilin is famous for its scenery. So every October 31 to November 8 in Guilin they have this special festival to celebrate the natural beauty around Guilin. Chinese and international tourists, as well as locals, come out to admire the scenery by taking tours and participating in outdoor activities, such as cruising the Li River. In the evening there is a lantern fair and they even have a bonfire on Love Island and folk singing and dancing, as well as tasty foods!